Red is a key shade in many food products – from cakes to confectionary to milkshakes. But naturally sourced red solutions can be rife with technical constraints for food and beverage manufacturers and it can be challenging to create a stable and vibrant color. “Our new FruitMax® reds have been developed to solve some of the major challenges with natural red colors that exist in the industry today. They provide a stable vibrant red shade without having the tendency to create an off-flavor like red radish concentrates. It was our ambition to meet consumer demands for natural, while also enabling food and beverage manufacturers to create exactly the shade of red that suits their brand – every time. The result really is a red color like no other,” explains Klaus Bjerrum, executive vice president, Natural Colors. These new FruitMax® reds are based on a blend of red vegetables, are minimally processed and meet the EU requirements for Coloring Foodstuffs. Together, the two products cover a broad range of market demands. Minimally processed colors are based on fruit, vegetable or edible plant concentrates. They are the fastest growing color type in the food and beverage industry in response to consumer demands for natural ingredients and clean labels. Crafted with gentle, traditional production methods Chr. Hansen has a range of FruitMax® colors which can be clearly and simply labelled as fruit and vegetable juices. 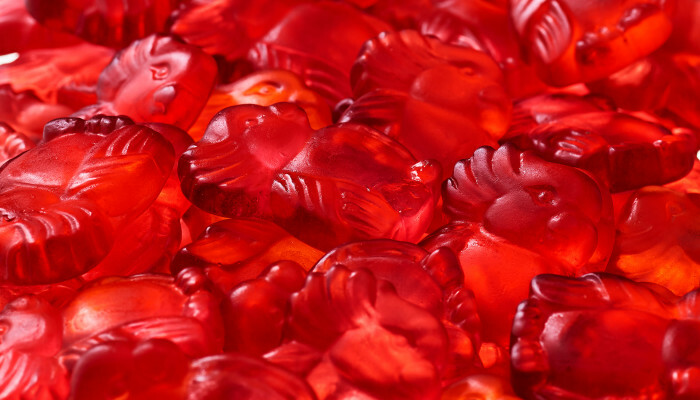 The unique coloring properties of these FruitMax® reds can create a vibrant red or a soft pink. Available globally, they can be used in confectionery, water ice, bakery and bakery decorations, fruit preparation and fermented milk products. “They fill the need in the market for a stable bright ‘strawberry’ red shade that can be used in less acidic food products like cakes, milk shakes and smoothies. They are an excellent alternative to synthetic red colors and carmine. They are more stable than red beet concentrates that turn brown when subjected to heat and are less pH sensitive than other reds based on anthocyanins which are known to turn greyish at neutral pH”, adds Arskog.